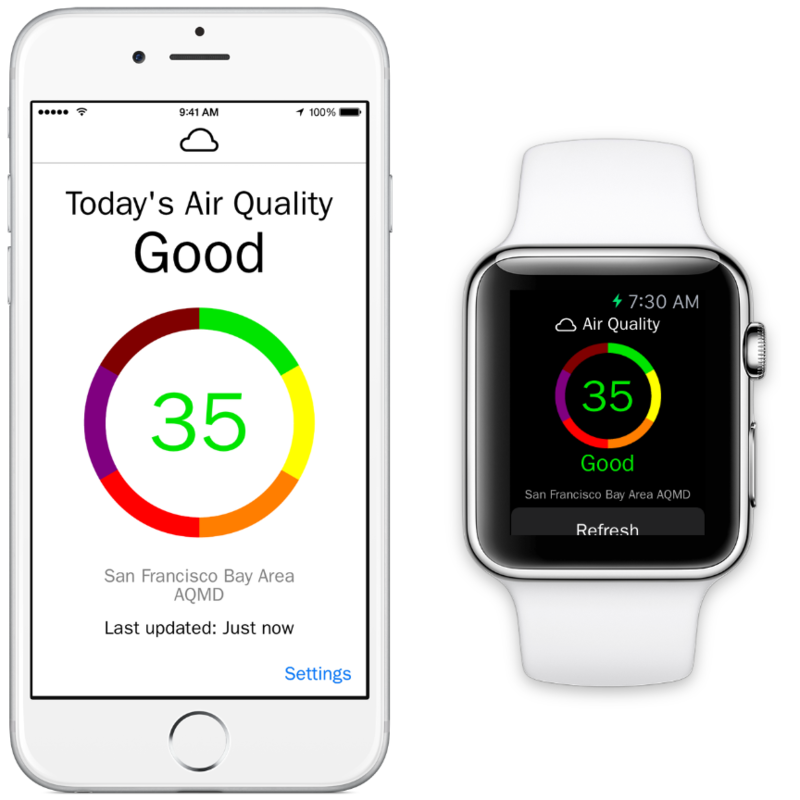 We are very excited to have created the first Apple Watch app that displays live, real-time air quality information. ‘Fresh Air’ gives you air quality data obtained from the U.S. Environmental Protection Agency. At a glance, you can see the air quality category (Good, Moderate, Unhealthy, etc) along with the numeric air quality index (0-500). 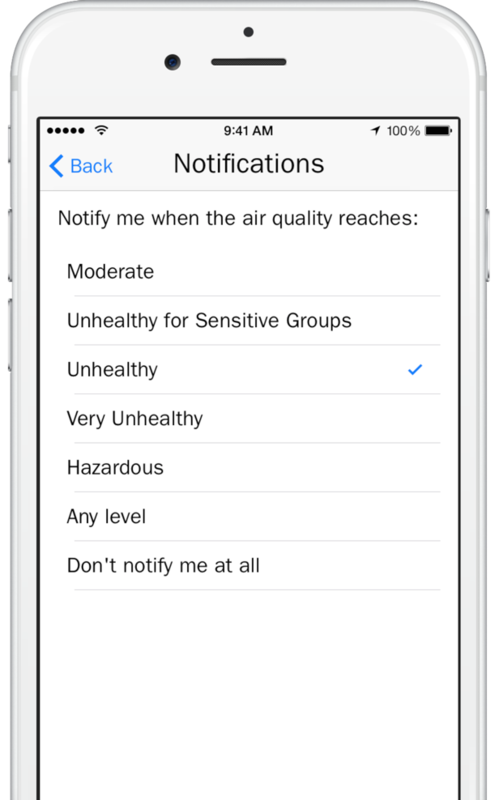 You can even set ‘Fresh Air’ to notify you when the air quality decreases (air quality is updated twice hourly).